Check out these cowboys & their Quarter Horses at the FEI World Equestrian Games! As the only western discipline in the FEI World Equestrian Games, reining showcases the movement of horse and rider as if they were herding cattle. Spectators can witness fast circles, flying lead changes, sliding stops, and 360 degree spins. 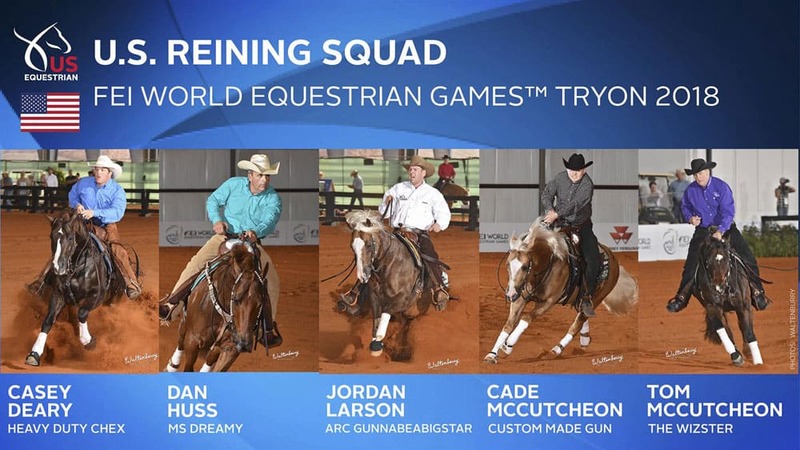 Five horse and rider teams were selected to represent the USA. They’re some of the best in the industry! These teams will be subject to the scoring of five judges. They will receive penalties based on mistakes made.